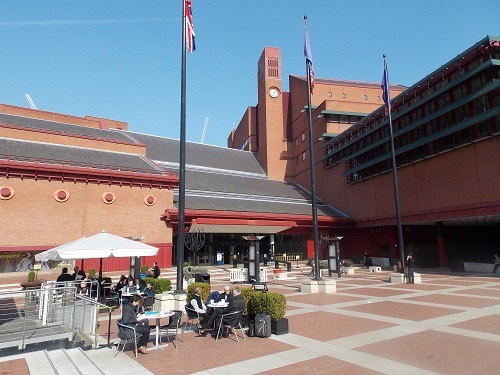 The British Library is the national library of the United Kingdom and is considered one of the largest library in the world by number of items catalogued. The library is a centre of research holding around 170 million items from many countries, in many languages and in many formats. The library hold a vast range of documents and books both print and digital: books, journals, newspapers, magazines, sound and music recordings, videos, play-scripts, databases, maps, stamps, prints, drawings. The Library’s collections include substantial holdings of manuscripts, maps and historical items dating back as far as 2000 BC. As part of their role as a national library, the British Library receives copies of all books produced in the United Kingdom and Ireland. 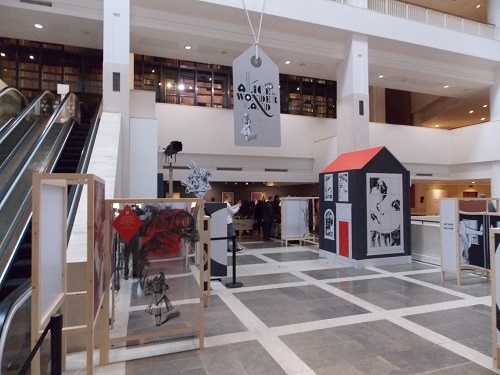 The British Library was created in 1973, before this date , the national library was part of the British Museum and based around a series of donations and acquisitions from the 18th century. Many of these collections were located in different buildings over London and plans for a new library were developed to allow many of the collections to be bought together for the first time. The new library was purpose-built by the architect Colin St John Wilson near St Pancras Station, it was opened to a mixed reception from critics and the public. However, over time it has become very popular and the building was Grade I listed in 2015. The Library is open to anyone to apply for a Reader Pass and would like to carry out research in the collections. Increasingly the British Library is making thousands of images and sound recordings available online. As well as readers, the general public can enter the library to visit the permanent free exhibition in the Sir John Ritblat Gallery which features a number of important books and manuscripts including Beowulf , the Lindisfarne Gospels and St Cuthbert Gospel, a Gutenberg Bible, Geoffrey Chaucer’s Canterbury Tales, and a room devoted solely to Magna Carta.The library also holds a series of temporary exhibitions which have covered a variety of subjects, most recently a high-profile exhibition celebrating the 800th anniversary of the Magna Carta. 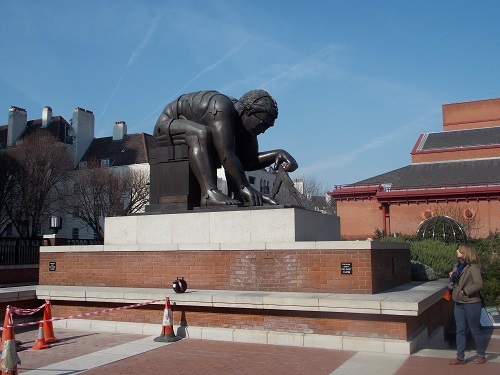 The front of the British Library is a pleasant and popular large piazza that includes a large sculpture by Eduardo Paolozzi of Isaac Newton and often has a series of temporary displays throughout the year. By londonvisitors2014 in London Attractions on January 10, 2016 .